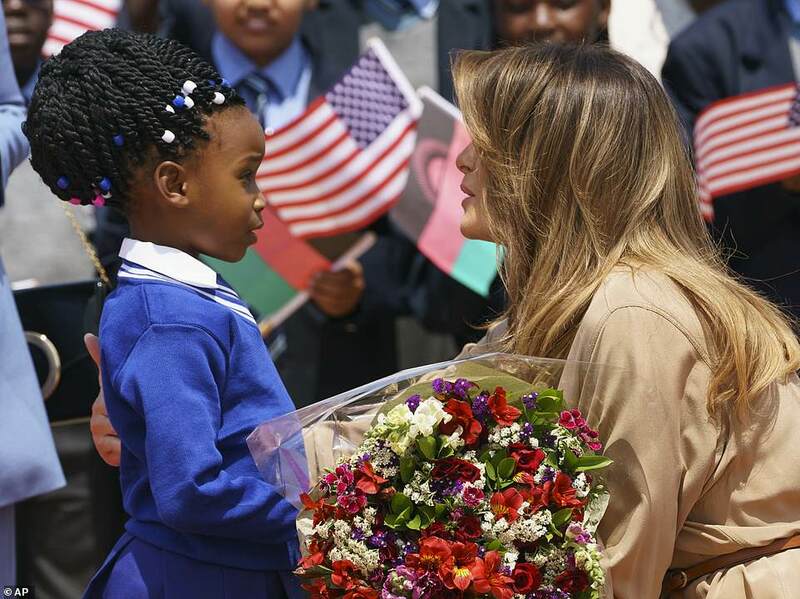 Melania Trump revealed her maternal side on Thursday morning when she comforted a shy little girl after landing in Malawi for the second stop of her Africa tour. The first lady landed at Lilongwe International Airport in Lumbadzi after a six-hour flight from Ghana, during which she changed out of her casual Converse sneakers and jeans in favor of a beige $745 Joseph shirt dress and a pair of $625 Manolo Blahnik heels. 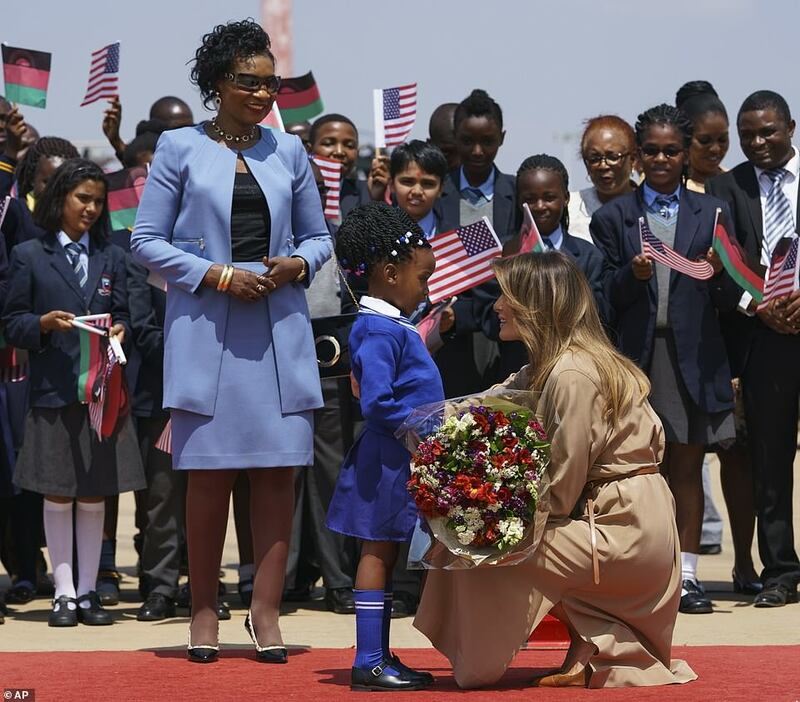 Melania waved happily at the crowds as she emerged from the presidential aircraft, before making her way down the steps and onto the tarmac, where she was greeted by Malawi’s first lady Gertrude Maseko, crowds of cheering children, and a rather solemn-looking schoolgirl, who presented the 48-year-old with a large bouquet of flowers. Clearly sensing the youngster’s unease, mother-of-one Melania was seen crouching down to the ground and patting the flower girl comfortingly on the back, while smiling and chattering away to her. 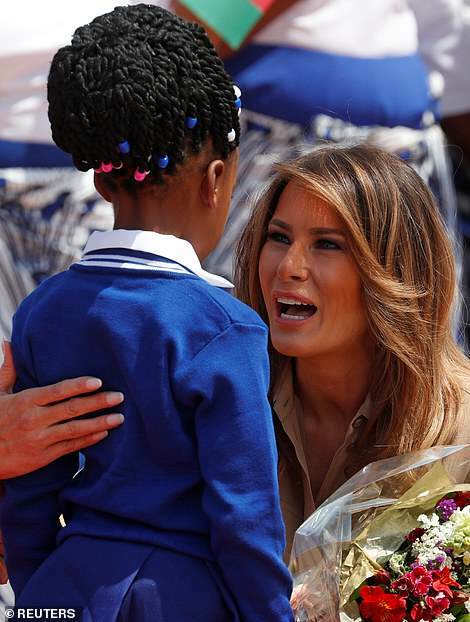 Melania’s friendly words clearly worked, and the little girl, who was wearing a blue school uniform and black shoes, appeared to perk up slightly as their conversation continued. 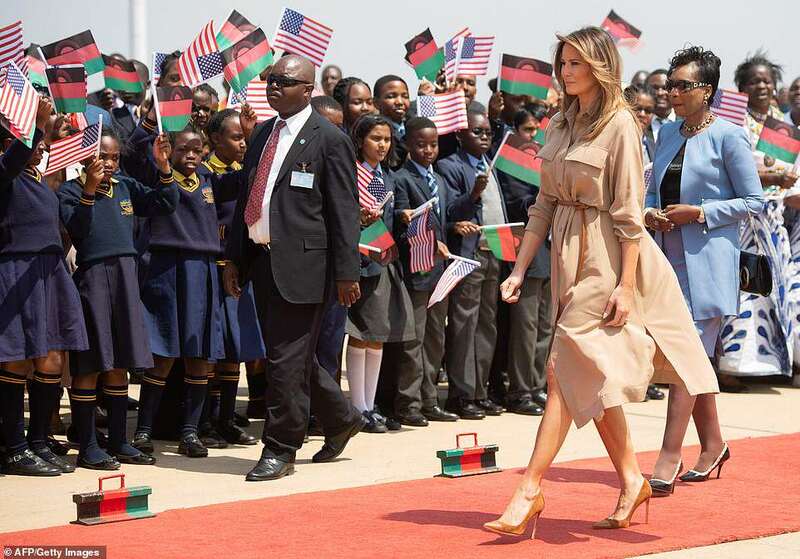 During her trip to Lilongwe, Melania was scheduled to visit a local primary school and tour classrooms, observe an English lesson, meet teachers, and donate textbooks and soccer balls. She was seen arriving to Chipala Primary School, waving to the crowd as head teacher Maureen Masi showed her around the premises. 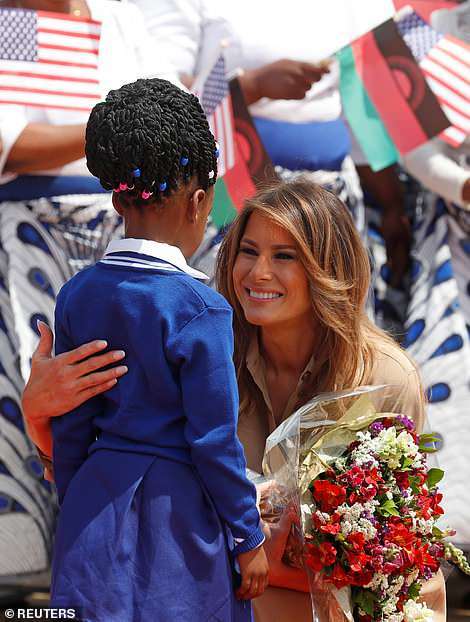 Melania also plans to visit the Statehouse where she will enjoy a private tea with her fellow first lady Gertrude – just as she did with the first lady of Ghana during the first day of her trip. 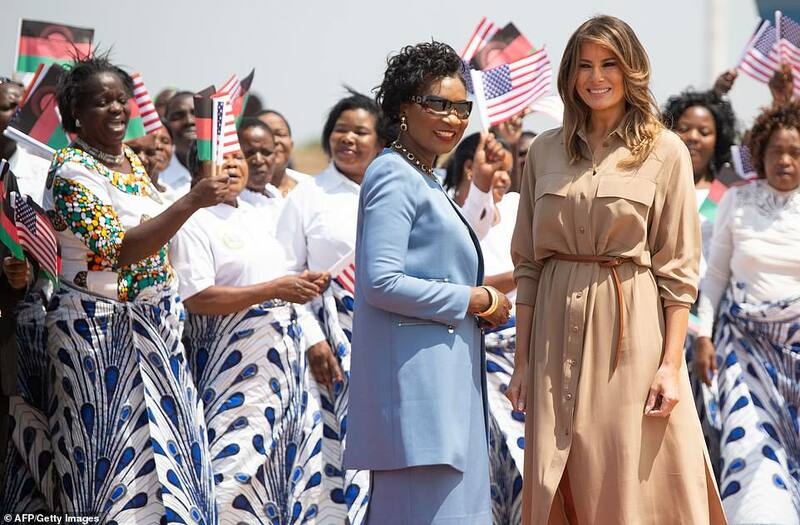 Melania opened her first extended solo international trip on Tuesday in Ghana.